This Venetian mask party pack is hand painted and made of paper mache. 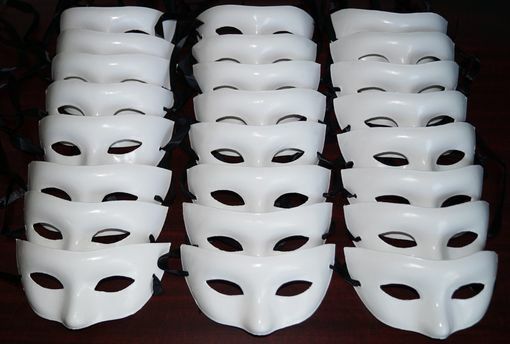 Venetian Mask color is white. Mask party pack comes with 24 masks.